Dozens of passengers who died on board the crashed Malaysia Airlines plane are thought to have been heading to a major international Aids conference. They include Prof Joep Lange - a prominent and popular researcher and a former president of the International Aids Society (IAS). IAS said they would have "truly lost a giant". Delegates, who have already arrived at the conference in Australia said they were in "total shock". 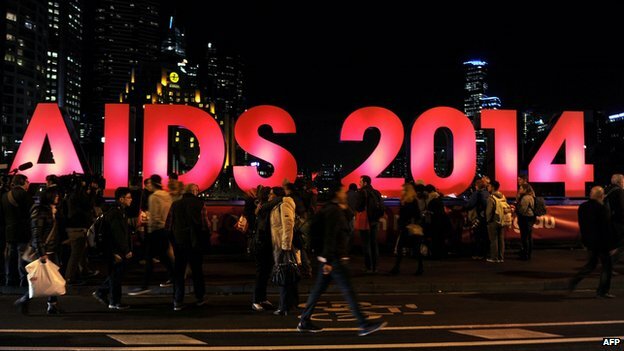 More than 14,000 scientists, campaigners and politicians are meeting at the Aids 2014 conference, which starts in Melbourne at the weekend. Joep Lange, was a professor of medicine at the University of Amsterdam, and has been involved in HIV research since the virus first emerged in the 1980s. He trialled antiretroviral therapies, which have now transformed HIV into a manageable disease. He also worked on preventing the virus passing from mother to child during pregnancy and labour. Prof Lange is described as a leader in his field, and between 2002 and 2004 was the president of the International Aids Society. Prof Peter Riess, who also worked at the University of Amsterdam, told the BBC: "Joep was a close colleague and friend of mine. Everyone here in Melbourne is in total shock at what happened. "In the early eighties when this strange new disease hit Amsterdam, both Joep and I were training at the time and were confronted with this new disease which then went on to shape our scientific and medical careers. "He's been really involved from the very beginning." 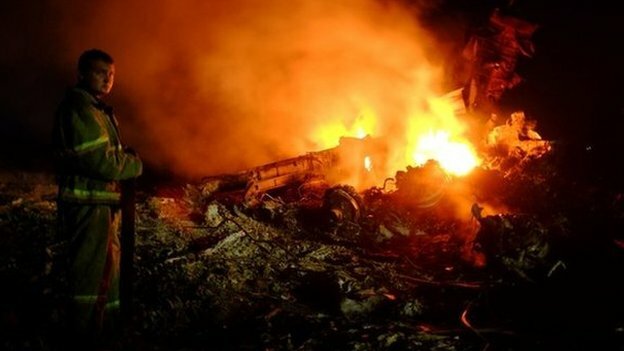 The plane, carrying 298 people, crashed in rebel-held territory in eastern Ukraine on Thursday. Prof Lange's partner, Jacqueline van Tongeren, was also reportedly on board. Dr Jeremy Farrar who leads the Wellcome Trust medical research charity said he was "deeply saddened" by the the deaths on flight MH17. "Joep was a great clinical scientist, and a great friend of the Wellcome Trust who has long been a valued adviser. "He was also a personal friend. He is a great loss to global health research." The International Aids Society said the conference would go ahead with "opportunities to reflect and remember those we have lost". It added: "The IAS is hearing unconfirmed reports that some of our friends and colleagues were on board the flight and if that is the case this is a truly sad day. "The IAS has also heard reports that among the passengers was a former IAS president Joep Lange and if that is the case then the HIV/Aids movement has truly lost a giant." Zoya Shabarova, an advisor for the Aids Healthcare Foundation, is flying to the conference via Hong Kong. She told the BBC: "It's a really terrible loss, unbelievable, he was a person with such a big heart, my colleagues and I, we can't comprehend this it's a terrible loss to the HIV programme, the people, the patients. "I want to send deep condolences to his family & all those on the flight." Another delegate, Glenn Thomas, a media spokesman from the World Health Organization (WHO), was also on board. WHO spokeswoman Fadela Chaib said: "For the time being we would like to give his family time to grieve. "We have lost a wonderful person and a great professional. Our hearts are broken. We are all in shock." Dr Peter MacPherson, an HIV researcher at the Liverpool School of Tropical Medicine, said so many HIV researchers were on the flight that everyone was worried that friends and colleague were on board. "I couldn't believe it when I heard last night, I'm not travelling to Melbourne, but I have a number of colleagues travelling. "I really don't know how many people attending the conference have been lost. "I'm just hoping it is none of my colleagues and friends - emails are flying around, people are sending emails, looking on Twitter and Facebook to try and find out what has happened. Everyone lost is a tragedy." "The global HIV community is a close community - standing up for non-violence, dignity and human rights. People will be devastated - but I am sure everyone will pull together and continue to fight the AIDS epidemic."